The Baltic States and Poland are in favor of imposing new sanctions in connection with the events in the Kerch Strait, Estonian Foreign Minister Sven Mikser has said. Commenting at the request of Interfax (interfax.ru) on the results of a visit of foreign ministers of the Baltic States to Poland to Donbas, eastern Ukraine, this week, Mikser said: "Estonia's position is that the countermeasures, sanctions against Russia in connection with the situation in the east of the country, the illegal annexation of Crimea should remain in force until the damage is compensated, until Russia returns to the principles of international law." 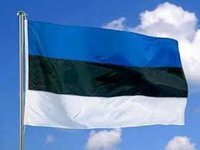 "Of course, the position of Estonia is that if a situation has arisen, the solution of which requires the justified introduction of additional countermeasures, they should be imposed. This has already been done, for example, after illegal elections in eastern Ukraine. Those sanctions have been revised and extended. If the need exists, one should be able to carefully weigh and, if necessary, introduce [additional sanctions]," he said. In particular, he said, additional sanctions were discussed at a meeting with President of Ukraine Petro Poroshenko. "The EU supports Ukraine, and we believe that we should confirm support with concrete steps. One of such steps could be the introduction of an additional sanctions regime, the so-called 'Azov package of sanctions' against Russia in response to what has been happening in the Sea of Azov," he said.